The Diasynchronoscope project is a joint artistic adventure in a new medium of choreographed time. The name Diasynchronoscope comes from combining diachronic‚ (the study of a phenomenon as it changes through time) with synchronous and scope (view). In being so named‚ it evokes the early animation simulators such as the phenakistoscope and the zoetrope which we regard as direct ancestors of the project acting both as art objects and experimental media. The Diasynchronoscope is a prototypical‚ experimental medium that draws on tropes from animation‚ film and Gestalt grouping principles‚ but it also possesses its own syntax and grammar: Each developing artwork reveals more formalisms and boundaries inherent to the medium. 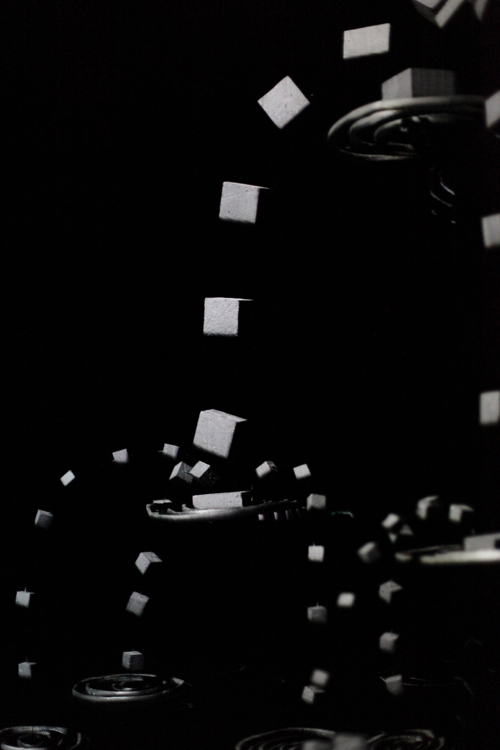 Artworks are viewed in an architectural black-out‚ where prepared 3D objects are arranged in paths such that they change incrementally in shape and/or position. 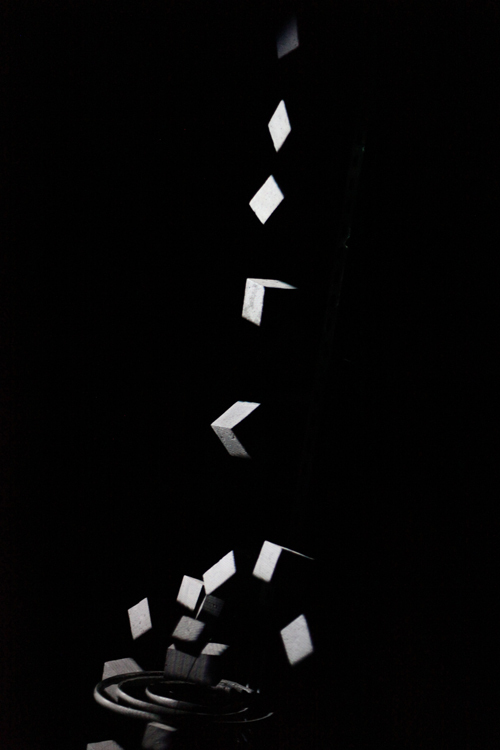 Although nothing in the space actually moves; the objects are revealed through serial illumination in the dark room‚ sequenced using the technique of projection mapping. This technique enables creation of a dramatization over time‚ encouraging the common perceptual shortcuts of a participant to create sequences and a narrative from static abstract objects. Because the Diasynchronoscope is a screen-less medium‚ videos do not replicate the experience. If you are interested in experiencing the Diasynchronoscope‚ please contact us and we will either invite you to our studio in New Cross (South London) or to our next show.